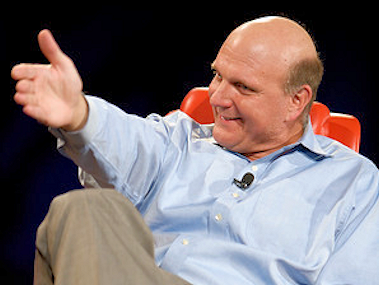 Microsoft CEO Steve Ballmer expects great things from the company’s next-generation desktop and mobile operating systems. And he’s fully confident that they will deliver. So much so that he’s already proclaimed the next 12 months “the year for Windows” and begun setting some pretty high expectations for how Windows 8 and Windows Phone 8 will perform at market. That’s one ambitious number. But given Windows’ ubiquity on the PC desktop, it’s certainly in reach. The more interesting questions here are how many of those 400 million devices will be running Windows Phone 8, and how many of those running Windows 8 will be tablets.